What Would An Independent London Look Like? M@ What Would An Independent London Look Like? London overwhelmingly voted to remain in the EU. We don't want to be pulled away from our European friends. The referendum result immediately had people talking about devolution. It's a well-rehearsed question, given new impetus: should London separate from the rest of the UK and go it alone as an independent city state? Lexit, they're calling it on Twitter. There's already a motion to make Sadiq Khan the president of a new independent London. We'll leave it to smarter wonks than us to argue whether this would be a Good Thing or a Bad Thing. Our role is to speculate on what London might be like as an independent state. Who'd run things, and what would the machinery of state look like? Currently, the flag only represents the tiny Square Mile and the various open spaces (such as Hampstead Heath), overseen by the City — but there's no reason it couldn't be widened as a symbol of the whole capital. 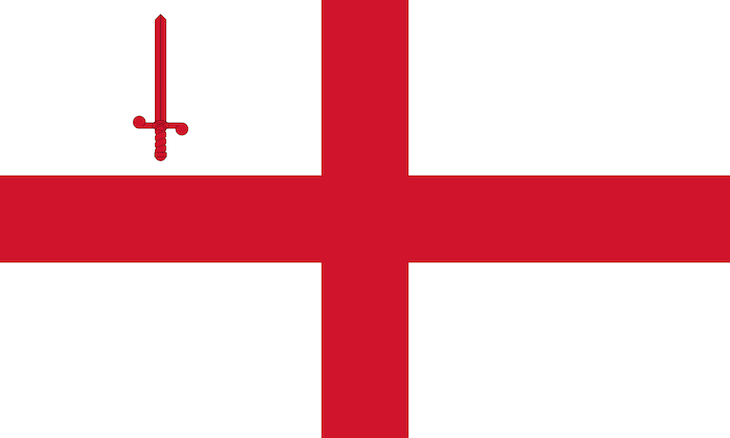 On the other hand, we might want to break our historic links with England and jettison St George. 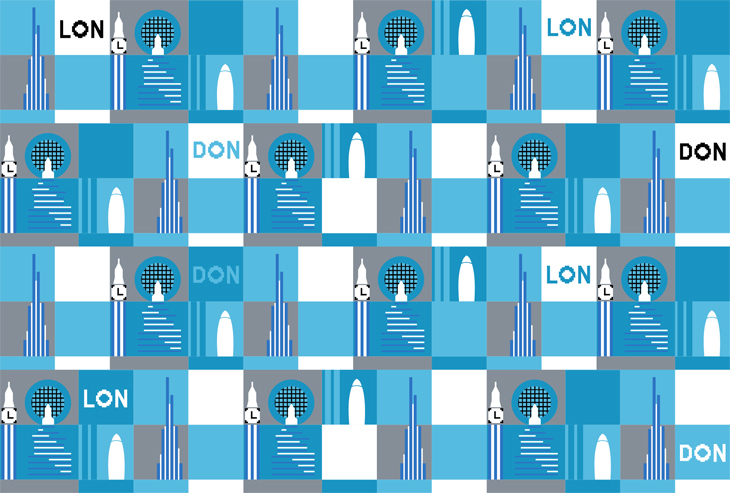 In which case, how about using the Londonist seat moquette? Sure, it looks nothing like any other national flag. But its complex, multilayered design reflects the 21st century city (and state-in-waiting). Tricky one. London Calling might be a popular choice, but the lyrics aren't exactly brimming with positivity and national cheer. London's Burning and London Bridge is Falling Down can obviously be ruled out. We'd have to back Calypso number London Is The Place For Me, by Lord Kitchener. As a welcoming international city, it would be tempting to suggest that we don't need any border checks or physical frontiers. The M25 can be an imposing enough barrier, with queues to rival anything at international passport controls. That said, for much of its history, London enjoyed the protection of a city wall. Roads like Ludgate and Bishopsgate attest to ancient entry points. As a grand project, working towards the city's 2000th anniversary in 2043, we could build a great wall right around the capital from London stock bricks. It'll help keep out undesirables and put bricklayers in trade for decades. A recent report suggested that London could go completely cashless within 20 years. A breakaway state of London could hasten the process, meaning we wouldn't need to design and print our own banknotes. Your Oyster card or contactless debit card would do just fine. But the digital currency would still need a name. Any ideas? We're keeping the Queen. I mean, most of her kit is here, from a couple of palaces to the state coach and the statues of her mum and dad. We can share her with the rest of these islands and, indeed, the wider Commonwealth. But who would wield executive power in lieu of a Prime Minister? The Mayor of London (currently Sadiq Khan) would look after the day-to-day running of services: health, education and transport, for example. The Lord Mayor of London would take on fiscal and monetary responsibilities, including the raising of taxes. A third mayor would be appointed to champion our culture, heritage and sport, such a large part of London's attraction to the wider world. The three would preside over an enlarged and empowered Greater London Authority to pass legislation. If history tells us anything, it's that triumvirates always work well. Unusually for a city, London already contains smaller cities. The City of London and the City of Westminster. Either might be considered the new capital of an independent London. However, we're going to champion Lambeth. Not only does it contain County Hall, which would make an excellent parliament building for the new nation, it also contains the geographic centre of Greater London. Plus, shifting power to the south of the river would annoy a lot of metropolitan elites. Wooo. Scary. Photo by McPeluz from the Londonist Flickr pool. We're pretty sure that the bearskin-wearing troopers outside the Palace and the Beefeaters from the Tower are collectively hard enough to repel any land invasion. No problem. What about air defence? The talents of Silicon Roundabout could be channelled into development of a drone fleet, to guard the skies over the capital. Our navy would consist of HMS Belfast, Bob Geldof and a couple of those troop boats from the Duck Tours. Or else we go the way of Costa Rica and abolish the military altogether, instead funnelling the cash into the arts, sciences and healthcare.